I have not given up on my sewing escapade. To create a shape on a garment darts are needed. They are usually made at the waist or bust line. They took me more time to complete than I expected. 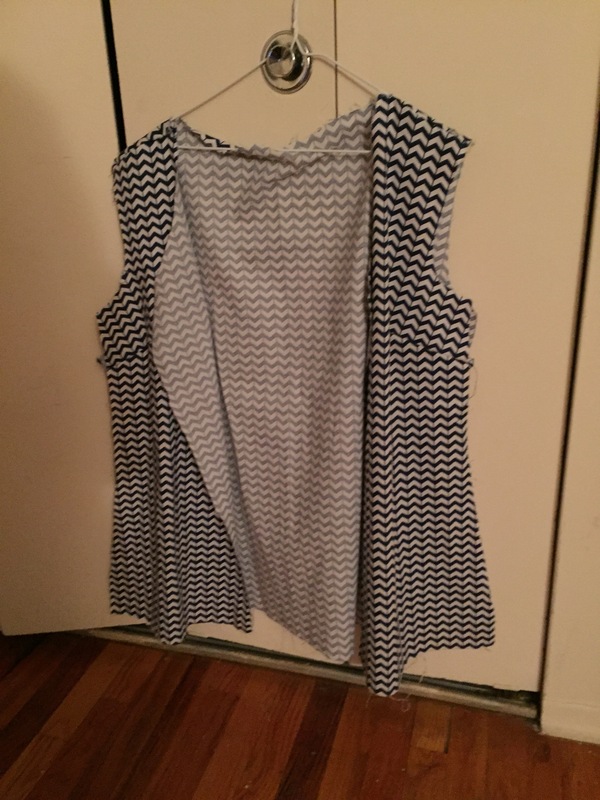 I made many a mistake including sewing the darts inside out and sewing the shoulders uneven. When you sew something incorrectly the only way I know of fixing it is ripping the stitches out and starting all over. With heartbreak I ripped and resewed until correct. 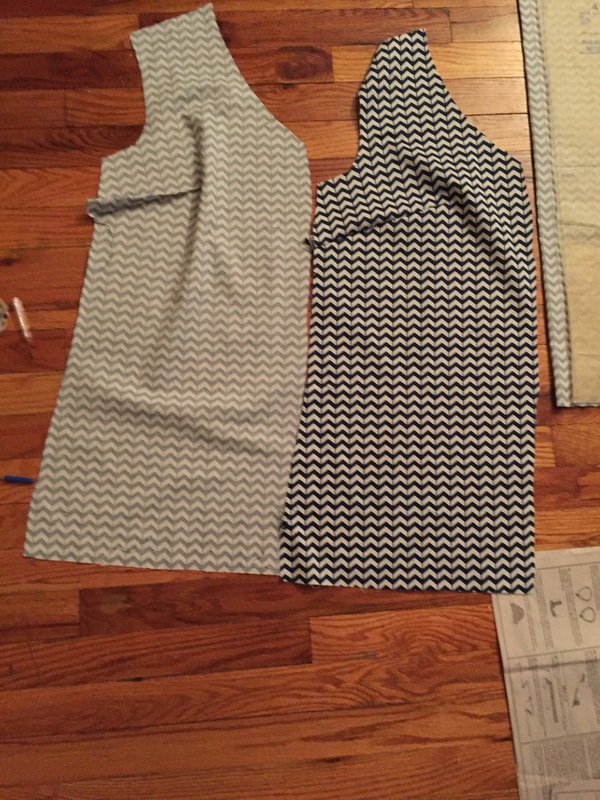 On the interfacing front, the extra fabric that gives a garment stability, I took the iron on approach. 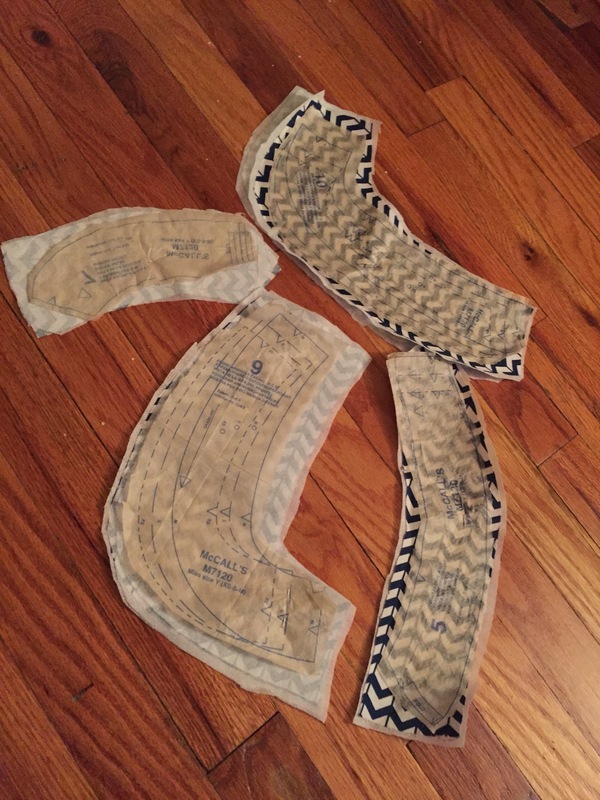 I also sewed the front and back pieces together at the shoulders, bringing my garment closer to the finish line.A great respect for professional seamstresses, designers, and grandmother has grown.